I like it very much.submitted by Tyrone M. - Aug 04, 2017 |Recommended: YesQuite, family atmosphere. Friendly Communitysubmitted by Christina J. - Jul 21, 2017 |Recommended: YesThe staff is nice to work with and I have never had any issues. It's surprisingly very quiet The gate makes all the difference feeling safe and the staff will always try to work with you. It's a very quiet community. I've lived here for 8 months now and I've never had a problem with noise or things breaking constantly.submitted by Caitlyn J. - Jun 27, 2017 |Recommended: YesIt's relaxing. There's never any disruption. It's a gated community with a pool and business center. Decent Placesubmitted by Luis V. - Feb 28, 2017 |Recommended: YesA good place to live. The people around are me are friendly. I have never had any issues with any neighbors. Been living in Northwoods for about a year and I always feel safe here. Never experienced anything bad that would want to make me leave. I love living here it is very safe and friendlysubmitted by Estrella G. - Apr 09, 2016 |Recommended: YesI would tell them I feel safe here and I love that it's kind of secluded from all the noise out side the gate. Also I love the idea out having the gate to come in or out of the complex. Decent environmentsubmitted by Brittney H. - Apr 09, 2016 |Recommended: YesThe location is well-placed. easy access to stores and facilities, neighborhood seems quiet and reserved. It would be nice to have some public grills for the summer time since the upstairs tenants are restricted from using their own. The renovations are a plus, but there are some outside appearances that could be enhanced to create a more significant interest for future tenants here. The staff is absolutely wonderful and maintenance is quite prompt and thorough with any issues submitted. My next door neighbors are God awful when it comes to noise, but the rest of the tenants here seem to be quite content and reserved about themselves. response from property - Apr 11, 2016 Hello Brittney, Thank you for your review! We are working on getting grills put on the property for residents to be able to use. We completely agree that those should be available for our residents. I would love to talk to you about the issues with your neighbor. Good neighborhoodsubmitted by Maurtianna S. - Mar 05, 2016 |Recommended: YesI would tell it okay but fairly good neighborhood. response from property - Jan 25, 2016 Thank you for the kind review!! 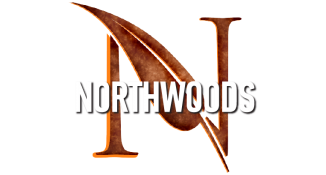 We are happy to have you choose Northwoods as your home. Northwoods Reviewsubmitted by Billy O. - Jan 01, 2016 |Recommended: YesIt is calm, not to crowded and I like that it is a gated community.